Dating in London ain't what it used to be. Sure there are 8 million people here - and every single one of them is on Oxford Street on Saturday afternoon - but actually meeting one of them is a whole different ball game. It's no surprise that online dating has taken off in such a big way when all your waking hours belong to the office where all your colleagues are married, the tube where striking up conversations with strangers is what massive weirdos do, or the gym where you're exercising and your face has gone the same colour as that very attractive man's shirt and oh my god don't talk to me are you MENTAL? But even then, why spend all that time crafting the perfect profile when we all know the only thing that matters in a mate is a mutual love of theatre? We put the word out on Twitter that we were looking for volunteers for the first ever ATG Blind Date and were overwhelmed by responses, but did anyone find love in a stagey place? Who got an encore and who was booed off? Read on for the results! Oliver: I was hoping to have a nice evening in the company of someone else who enjoyed to go to the theatre. And obviously hope that there we had something in common to talk about! Rebecca: A relaxed evening at the theatre in friendly company. Oliver: Well I arrived earlier than expected so waited around for a bit. Becca arrived not too soon after me, and we guessed that we were on the date together as we both had brown envelopes with our seats next to each other. Either that was a coincidence or we were on each other's blind date! She was very sweet and apologetic for being late, which wasn't her fault. I don't think either of us had expected to be chosen so there were a couple of quiet moments, but we found common ground. Rebecca: I spotted Oliver standing in the foyer, rather awkwardly, with a brown envelope in his hand. Once I'd picked up an identical envelope from the box office, a reciprocated wave of these envelopes led on to introductions without hesitation. He was very warm in manner from the off, and I immediately felt relaxed. Any awkwardness was soon dispelled once we began chatting and were shown to a table upstairs by the bar. Oliver: We both spoke about why we'd applied, initially. Becca commented that she'd seen it before, but with the old cast and she'd read that the new cast was better than the previous. This gave me high expectations of the performance! We spoke about what we both do and found that both of us have been involved in Scouting. Our families were mentioned and also were we are in our lives at the moment. I think we covered quite a lot, and there were a couple of quiet moments, but we soon filled them with talk of theatre! Rebecca: We discussed the plays we had recently seen and gave recommendations to each other. We talked of university studies and work, as well as Scouts and amateur dramatics (Oliver came up with some really good anecdotes for the last one!). We chatted about living in London, and the Midlands! We also talked about the competition and our mutual surprise at having won. How was their theatre etiquette? Oliver: A lot better than mine, it has to be said. I was fidgeting a lot during the first half, whereas she was as still as mouse. Rebecca: We were both cutting it fine to get to our seats since we were still in the bar a couple of minutes before the performance began. A lack of etiquette on both our parts there! He was a gentleman throughout, and we both laughed along at the humorous moments of the play. I was pleased to hear him cheer (as well as clap) during the final bows - I only wish I had been brave enough to do the same! Oliver: Most certainly. Very polite and sweet, with a good sense of humour. Rebecca: I would. The introductions would be quick, because my friends have been quizzing me about this evening ever since I told them I had won! And if they didn't know about it, then what a conversation starter...! 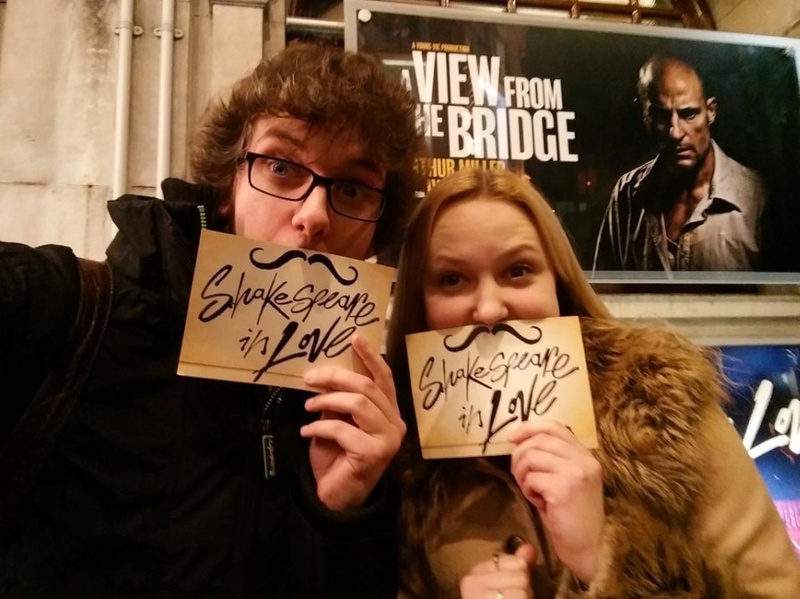 Oliver: During the interval, I found the #shakeover cards. She suggested we take a photo of ourselves with the cards and send it to you! We did a very 21st century thing; followed each other on Twitter instead of exchanging phone numbers! We walked for a short while before we parted our ways. Rebecca: We took a #shakeover photo outside the theatre and posted it on Twitter. We had a goodbye hug and left the door open for a future meeting. Any plans to meet again? What was your show highlight? Oliver: I loved the staging; the way it was made out of wood and the centrepiece moved forwards and backwards to create different spaces. The use of the sliding doors in the centrepiece gave even more dynamics to the stage. The cast were very talented as well; with most of the soundtrack coming from the minstrels on stage, who were able to play many different instruments. Not to mention the leads of Orlando James and Eve Ponsonby, who both played off each other so well. Also, one of the cast had a close resemblance to my housemate, which was slightly off putting! Rebecca: The interruption of the tragic ending to Romeo and Juliet. A sorrowful tone is comically undercut with the emergence of a sledgehammer-wielding Tilney, followed by Wessex, from the under-stage! Oliver: We almost missed the beginning of the show, as we didn't hear any announcements in the bar. Probably because we were thoroughly engaged in conversation! It was a very enjoyable evening and I certainly did have fantastic company to share it with. Rebecca: Having never done anything like a blind date before, I didn't know what to expect. I had entered the competition along with some friends as a joke, not supposing that I would actually win! Well, I'm very glad that I did! I was pleasantly surprised at how at ease I felt in Oliver's company, and so quickly. It was a lovely evening, and would recommend it to fellow stageys. I thought: Dear lord, hes Northern. We chatted about the miners strike, his love of gravy, and at the end of the date he asked me to join him down the pits. Ill see him again at the next miners union meeting. SOLIDARITY FOREVER. 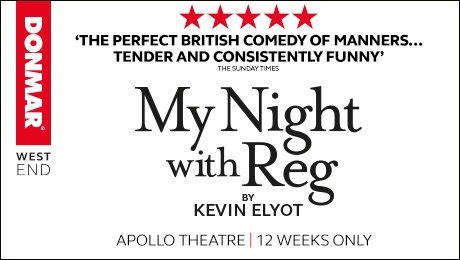 I was hoping to meet someone as stagey as me; it was reassuring to know we were both on the date purely because we had an interest in theatre so would have something to talk about. Conversation flowed easily: he told me all about his work in lighting and shows hes worked on. Id seen Once before so it was nice to see how the dynamics had changed with a different leading man, and due to our previous conversations I did find myself noticing the lighting more than I normally would! 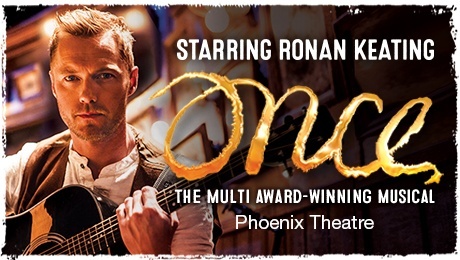 Once is such a beautiful show - from the moment Ronan Keating started strumming his guitar, all the way to the teary finale, I was mesmerised. This has been such a wonderful experience that I think well definitely meet up again and discuss it, and Im certainly going to see some of his work in lighting soon too. It was great to meet and chat to Charlotte, as it was clear we were both passionate about theatre. We chatted about what we did, and about shows wed recently seen, or were looking forward to seeing. We also spent a bit of time talking about theatre etiquette. Bad theatre etiquette is an issue I find incredibly irritating, so it was great to meet someone with such respect for fellow audience, as well as a similar opinion of bad behaviour! Having a chance to see a show rather than being involved in one was nice, and getting to see a show that was simply executed but still managed to wow me. We swapped details before parting ways to head home, and may meet again when time allows! Ive never been on a blind date before so was a little nervous, but Alison seemed really nice! We chatted about all sorts - I think my cats dominated the conversation somewhat. I hope she likes cats. Ive just realised I never actually asked that. My show highlight was Electricity; I cried, and Alison was uncontrollable. I woke up to a Facebook add so who knows what lies ahead. We were both dead keen to see Dirty Rotten Scoundrels - I hear Robert Lindsay is amazing and does this hilarious trick with his hat - so that may be in the pipeline. I wanted a nice evening with a girl similar to myself - I thought Emma was a great girl, very pretty and an amazing first date. The theatre had the most fantastic atmosphere and great set. We found out that both our siblings are pregnant so immediately hit it off with that in common, then we discussed the shows songs and dancing, which I loved. Her theatre etiquette was very good - she was respectful and giggled/cried a lot. I took her number and we will definitely meet up again. I was hoping for a bit of a laugh, both from the play and the slightly awkward situation! Joseph seemed really chatty and friendly, which was a relief  we talked about friends, families, fancy dress and whether its better to win an Oscar or an Olivier. He was a total gentleman, and after the show we grabbed a quick drink before heading to our different stations. My show highlight was Lewis Reeves's gorgeous Brummy accent, and my date highlight was Demetrious - a front of house member at the theatre who seemed 10x more excited about our blind date than we were! Maddie was lovely, the atmosphere was great and the room too. We chatted about everything from what we do for a living, to family, to what theatre we liked. Shed been to a lot of theatre so her etiquette was great. 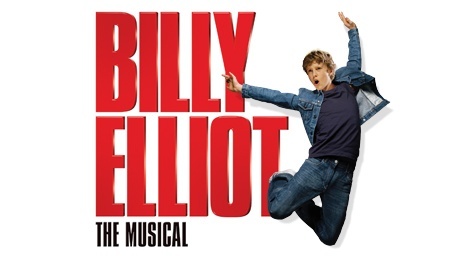 I loved the show - I was a bit worried about sitting for almost two hours with no interval, but it didnt seem that long at all and I really enjoyed it even though it wasnt something I had thought about seeing. Afterwards we went for a drink at the Curzon then parted ways. We didnt make plans but I would happily meet up again - not sure if its romance or someone I could call my theatre friend. I was hoping to meet someone a little closer to my age - Alec was a very decent chap but I wasnt physically attracted to him. We talked mainly about theatre and work, and his theatre etiquette was excellent. After the show we said nice to meet you and parted ways with no plans to meet again. 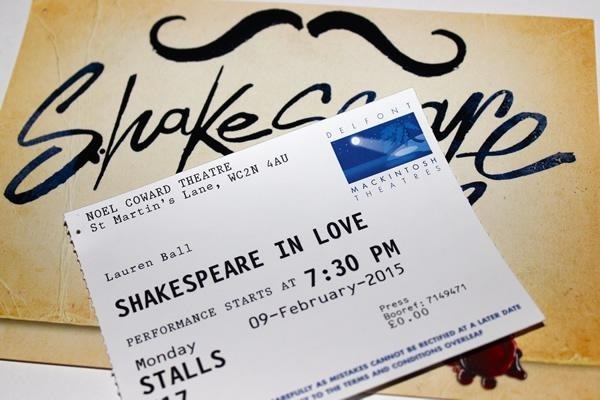 I was not really expecting any romance, but hoped to make a new friend with similar interests, especially theatre. Mark seemed like a nice person and was easy to talk to. Conversation was about theatre in general and the kind of shows we like. 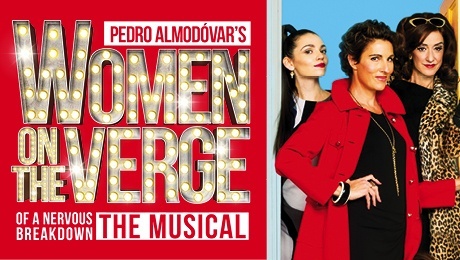 This was my second visit to the show and Tamsin Greig does not disappoint - I also loved being in the Ambassador Lounge, something I would definitely consider for future visits. 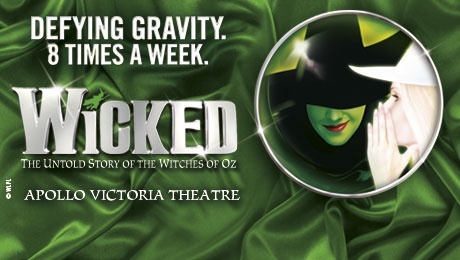 We had a quick chat outside the theatre about the show and we went our separate ways. I was hoping to meet someone new and exchange experiences. 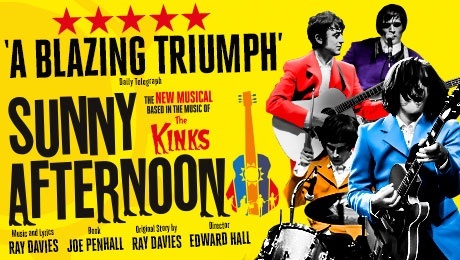 I'd seen Sunny Afternoon before and was very pleased to go again. Caroline seemed fun, and we talked about shows and performers. I think marriage and babies should always wait until the second date. My highlight was the very lovely Ro & Andrew at the Harold Pinter Theatre who looked after us magnificently. The show was fantastic and the seats were brilliant. Barry had a nice smiley face, and we chatted about the many shows we'd seen over the years. He had excellent theatre etiquette and I would happily introduce him to my friends. Our seats were amazing, and the theatre staff were very attentive. At the end of the date he kindly walked me to the tube station; we have no concrete plans to meet again.